Welcome to the Matrix Health Services UK Limited’s (“Matrix”) Privacy Notice. Matrix respects your privacy and is committed to protecting your personal data. This privacy notice will inform you as to how we look after your personal data and tell you about your privacy rights and how the law protects you. You can view the policy on our website http://matrixhealthservices.co.uk/. Please also use the Glossary at the end to understand the meaning of some of the terms used in this Privacy Notice. This Privacy Notice aims to give you information on how Matrix collects and processes your personal data. Matrix Health Services UK Limited is the controller and responsible for your personal data (collectively referred to as “Matrix”, “we”, “us” or “our” in this Privacy Notice). Matrix is registered with company number 05260595) whose registered office is at Evolve Business Centre Cygnet Way, Rainton Bridge South Business Park, Houghton Le Spring, Tyne And Wear, DH4 5QY. 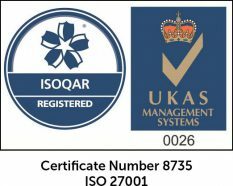 We have achieved the Information Governance Statement of Compliance which gives us access to e-referral systems, NHS email accounts and the use of an N3 connection ensuring secure transfer of information. This compliance has to be completed and approved each year to ensure continued use of these systems. You have the right to make a complaint at any time to the Information Commissioner’s Office (ICO), the UK supervisory authority for data protection issues (www.ico.org.uk). We would, however, appreciate the opportunity to deal with your concerns before you approach the ICO, so we request that you please contact us in the first instance. Our website http://matrixhealthservices.co.uk/ may include links to third party websites, plug-ins and applications. Clicking on those links or enabling those connections may allow third parties to collect or share data about you. We do not control these third party websites and are not responsible for their privacy statements. When you leave our website, we encourage you to read the privacy notice of every website you visit. first name, maiden name, last name, date of birth, gender, next of kin. Contact details including your address, email address and telephone numbers. Special Categories of Personal Data which includes details about your sexuality, race, religion or beliefs, disabilities, health and clinical notes and results. We may hold personal information relating to children in relation to work carried out on behalf of CCGs and Hospital Trusts. Direct interactions. You may give us your Identity and Contact Data by corresponding with us by post, phone, email or otherwise. We have set out below, in a table format, a description of the ways we plan to use your personal data, and which of the legal bases we rely upon to do so. We have also identified what our legitimate interests are where appropriate. 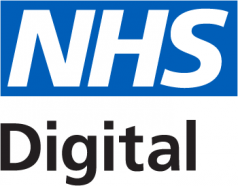 NHS Digital in order to comply with our legal obligations. Hospital Trusts and other healthcare organisations – use of their data management systems. GP’s or other healthcare professionals. Care Quality Commission and other Health and Social Care organisations and regulatory bodies. Service providers and agents who process data on our behalf e.g. IT managed services, internet service and platform providers, payment processing providers and those organisations we engage to help us send communications to you. Patient records are kept for the length of time that is required by the Government in its code of practice. This version was last updated on 16th July 2018.